Uber just rehired a high-profile exec who left the company earlier this year. The company confirmed on Tuesday that Lior Ron, who cofounded Otto Trucking, will once again oversee Uber Freight, its growing business that helps truckers find gigs hauling loads. The news comes about a week after Uber said it plans to shutter the self-driving trucks unit it launched using technology developed by Otto Trucking. Uber stressed at the time that the move does not impact its freight business. Ron left Uber in March for unknown reasons. He tweeted a confirmation of his return to Uber on Tuesday. "After a great summer vacation with my family and friends, I'm back to work leading Uber logistics business, rolling my sleeves on a problem space..." he tweeted. Uber's acquisition of Otto led to a lawsuit with Alphabet's Waymo, which the two sides settled for $245 million in February. Waymo claimed that Otto co-founder Anthony Levandowski stole trade secrets while working as an engineer at Google and shared that data with Uber. Ron's return to Uber comes as the company finalizes its controversial acquisition of Otto Trucking. The company negotiated the terms of its acquisition of Otto's autonomous tech in August, 2016. But it is still working out a deal for its trucking business. The latest terms call for converting Otto shareholders into Uber Freight shareholders. Uber Freight launched in May 2017 and has since expanded to every state in the continental US. According to the spokesperson, Uber Freight remains one of Uber's "fastest-growing and most promising businesses." 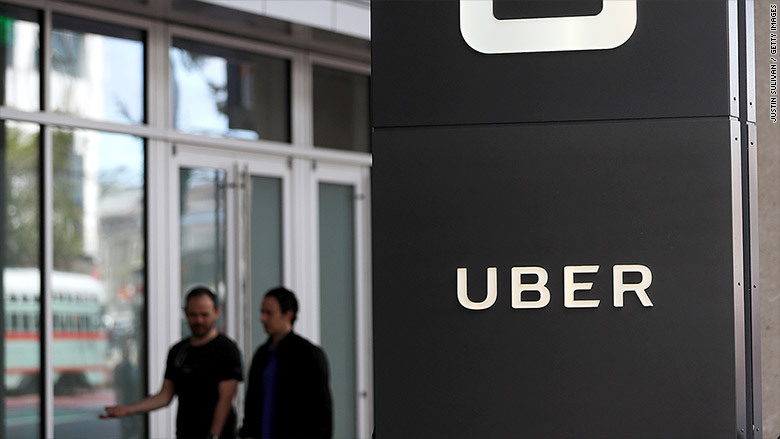 "To further enable Freight's growth, we are setting it up to operate as an independent business unit within Uber, and more than doubling our investment going forward," an Uber spokesperson said in a statement sent to CNNMoney. Bloomberg first reported the news on Tuesday.